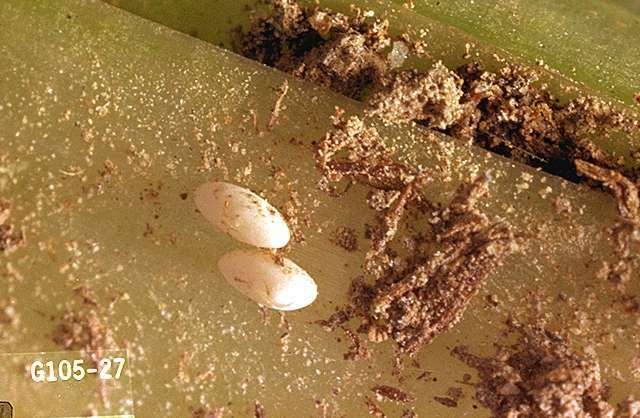 Pest description and damage The larva is a fat, yellowish-white, and wrinkled maggot and 0.75 inch long. The lesser bulb fly adults are blackish green with white markings on the abdomen; the larvae are smaller and more numerous in the bulbs. 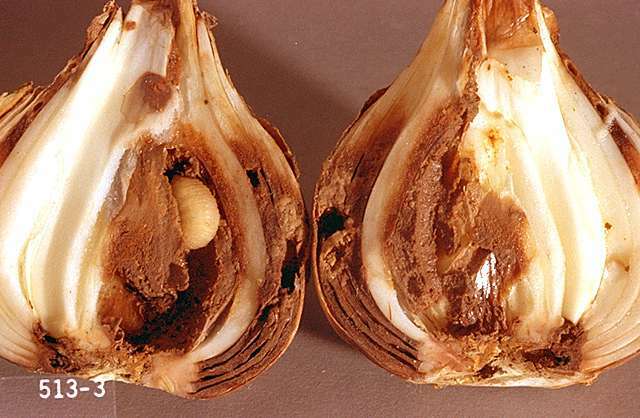 The maggots of the narcissus bulb fly burrow into the bulbs near the basal plate and feed inside the bulbs, destroying bulb scale and flower parts while maggots of the lesser bulb fly are thought to be scavengers. Infested bulbs may develop a few, grassy-looking leaves if the bulb is not too badly damaged. Severely damaged bulbs are soft, brown, and decayed. The narcissus bulb fly attacks amaryllis, Galtonia, hyacinth, iris, lily, Leucojum, Narcissus, Scilla, tulip, and Vallota. 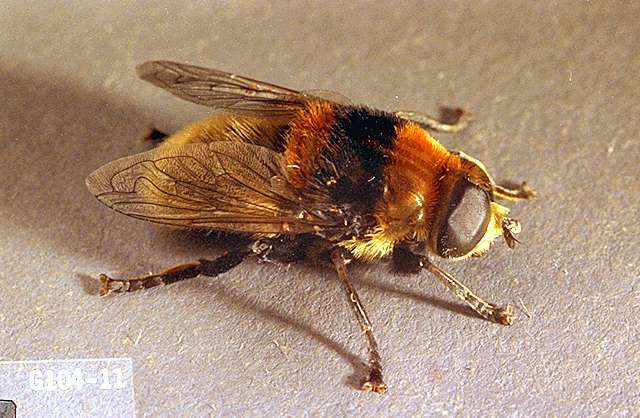 The lesser bulb fly also attacks and may be a primary pest on onions and shallots and other bulbs.